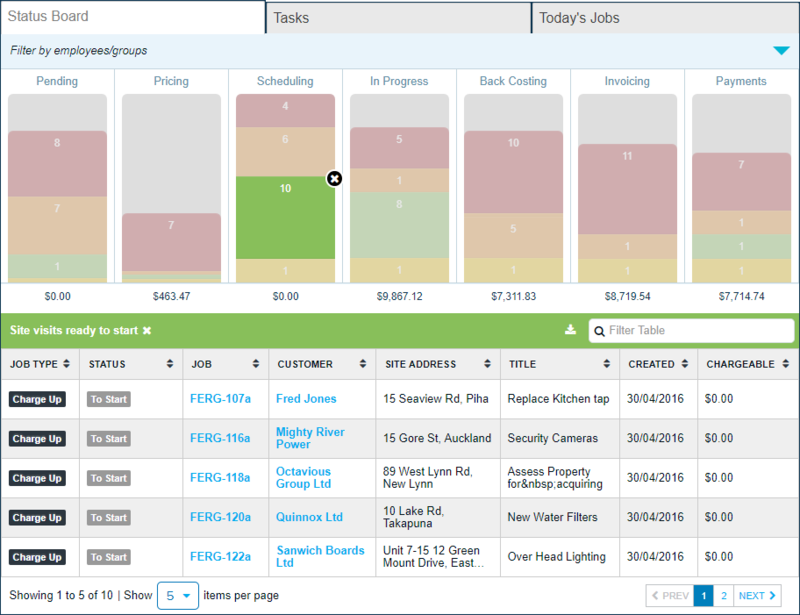 The Status Board makes it easy to filter and navigate through your jobs without losing sight of the job’s current status. By default, the Status Board shows you the latest active jobs. Clicking a status lets you filter the list accordingly. You can display as many jobs as you need by using the drop-down menu at the bottom left of the Job List. Fergus will remember your choice for the future.